Give Merit exists to enhance and extend educational opportunities to underserved youth through innovative enrichment and mentorship activities. 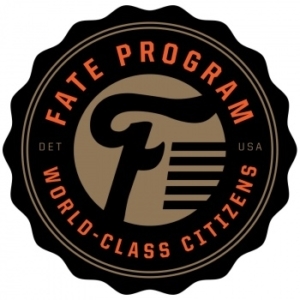 Since 2012, Give Merit has worked intensively with Detroit high school students through its FATE program. Grade 10 FATE Capstone Project: This grant supports “Designing a Merit Product Collection,” a project that provides 10th graders exposure to the arts in a unique and innovative way with instruction provided by local artists and clothing companies.